The Western Ohio Soccer League started in 2014 with 8 boys members and 7 girls members. 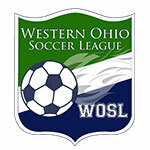 In 2015, the WOSL announced the addition of 2 new schools (3 teams) to the WOSL. The league has voted unanimously to accept Jackson Center Boys Soccer, Allen East Boys Soccer and Allen East Girls Soccer into the WOSL to begin play in the fall of 2016. 2017 will see the the addition of 1 new girls team to the WOSL. The league has voted unanimously to accept Spencerville girls soccer into the WOSL to begin play in the fall of 2017. More change has come in 2018, as Allen East and Lincolnview decided to move out of the conference. After a successful inaugural season in 2014 our league looks forward to many more competitive seasons and will continue to provide our student athletes in our member schools with tremendous competition in a competitive soccer league.